My favorite flavor of coffee creamer and you can win a case of it. There is 100 winners so good chance to win. If you win I will beg you to give me a bottle as it is that good. 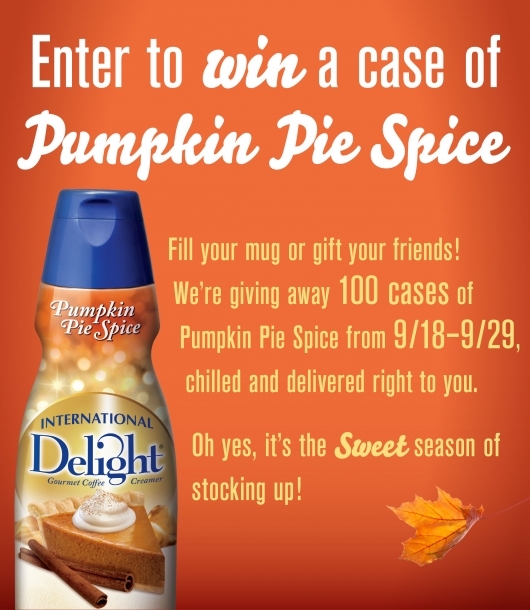 Head over HERE to enter to win a case of Pumpkin Pie Spice International Delight. Oh thanks! I love pumpkin! Me too maybe we will both win! I just entered again to better my odds, LOL! Yum - hope I win, thanks! !